Planning approvals were up an annualised 7% in September, and 32% year to date, but new home building is still at crisis levels when you take the long view. There were 7,378 planning approvals in September, up 7% in a year, show the latest figures from the Government (Fomento). Planning approvals to build new homes have been growing since the start of 2015, and jumped nearly 100% year-on-year in December 2015, which is good news for Spain as new home building creates jobs and contributes to economic growth. 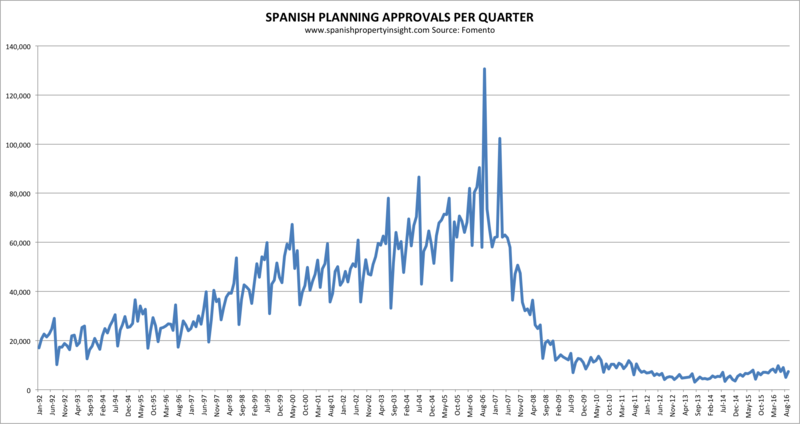 The chart below shows how planning approvals have gone from steep declines in 2012 to growth in 2015 & 2016, and the Spanish press is reporting how this year is the best year in the last five for the home building industry, which is true. But when you compare new home building activity today to the last 25 years you can see the sector is still in crisis. 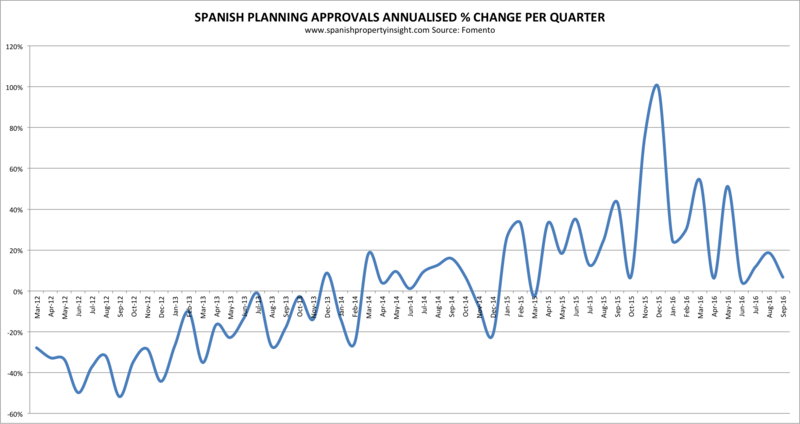 The next chart shows planning approvals every month going back to 1992. With numbers running at well below 10,000 per month, new home building in Spain is less than half what it was in the early-1990s crisis, and 94% below the insane peak figure of 130,000 in September 2006. So new building is still way below a normal level for a country the size of Spain. What is holding it back? From what I can tell it is the lack of finance for new development, and dysfunctional planning authorities, not a lack of demand. New developments in the right locations are selling well. It also appears that new homes being built today, though small in number, are generally better quality than those built in the past, especially compared to those built in the boom years. Building standards, materials, and technology have all improved.